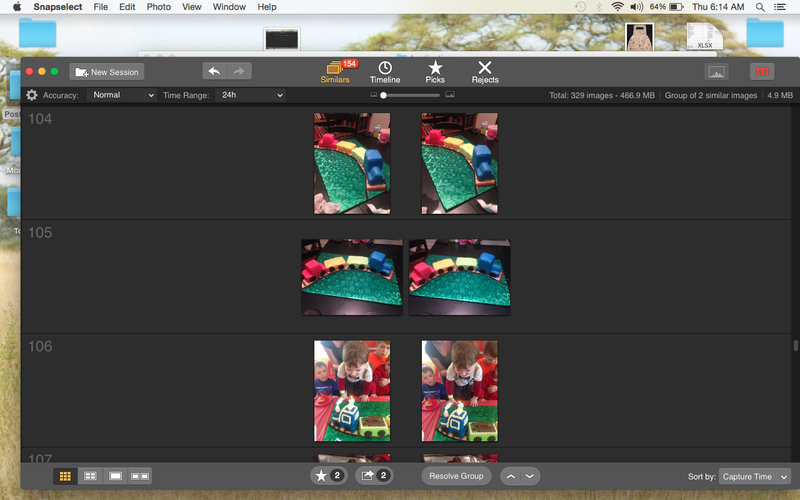 Since becoming a mother, my MacBook Pro has turned into a very expensive photo album. The majority of my computer's space is being bogged down by THOUSANDS of photos. I can't help it, my kid is so damn cute, I don't want to miss or forget one minute, stage or milestone! This of course leads to constant issues of sorting through crappy photos and deleting the four hundred it took to get that one perfect shot. I try to devote time each week to cleaning out my phone and computer, then backing up my faves. The problem is that it's tedious, takes way too much time and I have a hard time deleting things. Thankfully, I have just found a Mac App company that specializes in AMAZING Photo Apps, Macphun. 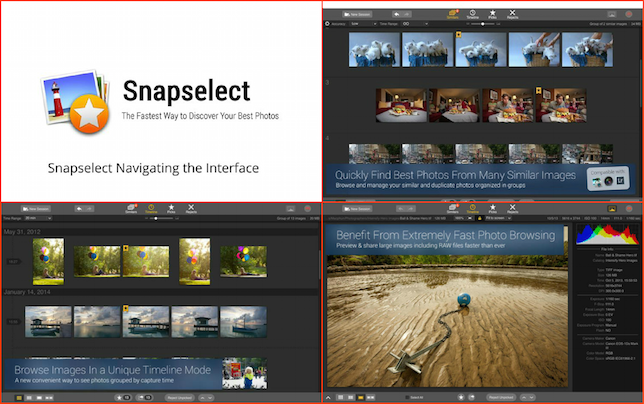 The company has a slew of super apps, but two have completely changed the photo game for me, and I have no doubt they will for you too! First, Snapselect! I'll admit, I was skeptical about how this app could work for my photo hoarding issues. Even though I back up the best, I keep them all on my computer "just in case." Thanks to Snapselect, I realized just how many ridiculous photos I was hoarding. FYI: 832 PHOTOS Here's how the magic works. First, of course, you download the App. Next, load photos into the app. In my case it was my ENTIRE 2,599 iPhoto gallery. I was shocked to see that it only took a few minutes to load them into the app. Next, you choose the sensitivity or accuracy. 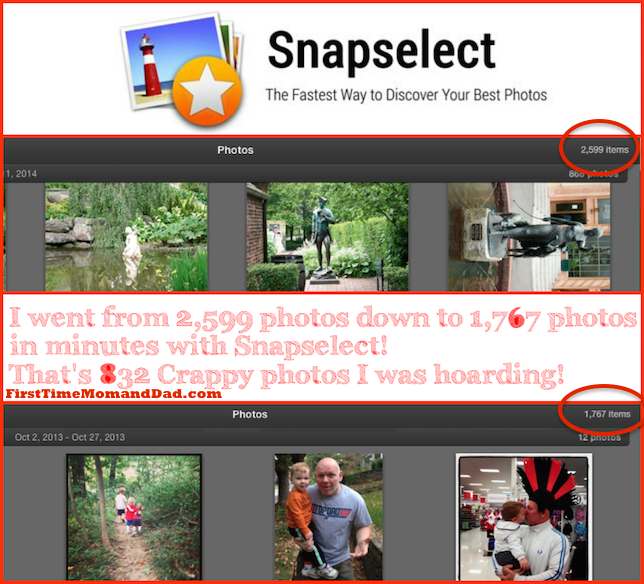 Within Minutes, Snapselect had singled out the doubles and the blurry photos. I was able to go through each set to delete or keep. 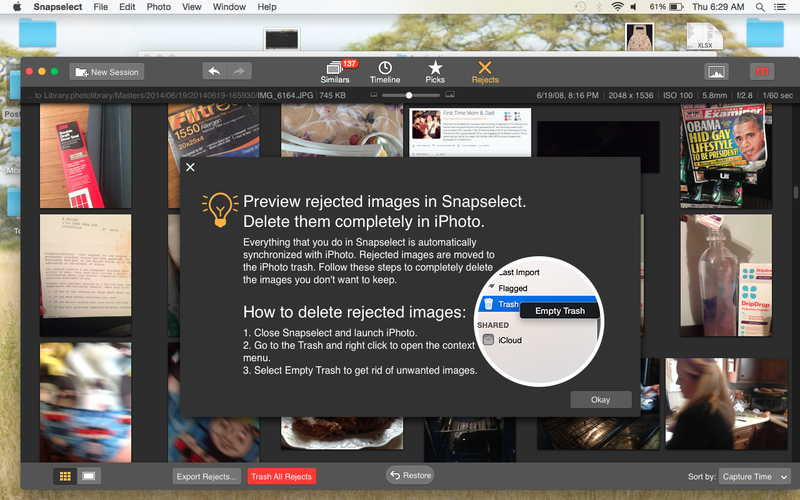 Once I'd gone through the singled out photos or groups of photos, in one click and I could delete them all from iPhoto library. I was so amazed, I went back and changed the accuracy to really help me clean out my library. Eight hundred and forty-two photos later, my MacBook was a clean machine! 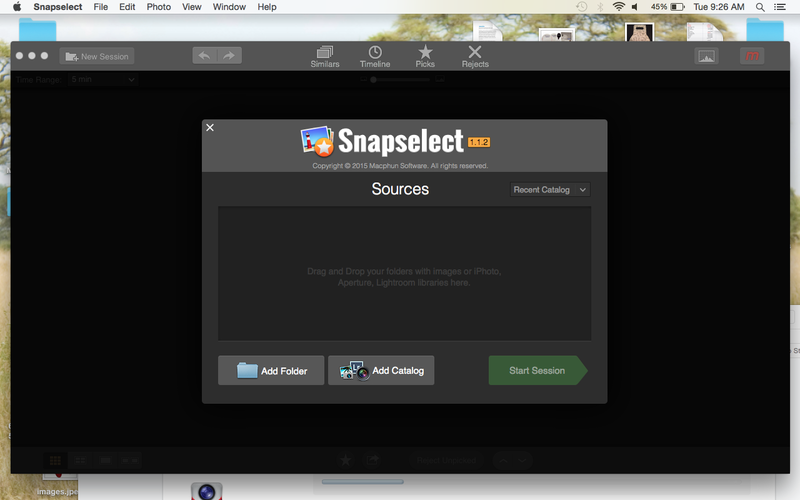 If you are an Apple fanatic like me, then I cannot recommend enough that you download Snapselect! You will be floored by how many crappy photos you are hoarding too! To get the app, CLICK HERE! OH WAIT BEFORE YOU GO! Remember how I said Macphun is the maker of many fabulous apps? This month's featured app is REDICULOUSLY AWESOME! It's called Focus and it allows you to do amazing things with your photos. Think: NO FREAKING WAY AMAZING! Full Disclosure: I'm a brand ambassador, AND LOVE IT!